An extended trial with Nottingham City Transport (NCT) and subsequent trouble free use have demonstrated that PFC Brakes offer fleet operators the opportunity to make considerable cost savings through the simple switching of brake pad supplier. The trial, led by NCT, monitored pad and disc wear on two Scania double decker buses, which are used daily around the city. The results confirmed that the PFC Brakes would cover 156,000km compared to the existing pads, which last, on average, 85,000km. Crucially, the less abrasive PFC Brakes compound meant that disc life was also doubled – further reducing costs and workshop time. In the first trial the 21mm PFC pads and new (separately purchased) 44mm discs were fitted to the rear axle of bus 743. They were then monitored and measured by both PFC and NCT on a six weekly basis. Over an 11 month period, the discs remained at 44mm and the pads had only worn by 5mm, despite having covered 52,000km, using the previous pad specification new discs would typically be needed after the second set of pads. A second trial using PFC Brakes pads fitted on the front axle of bus 720 returned equally pleasing results, with just 4mm of wear over 40,000km and, again, a lifespan of up to four years. With less time in the workshop, NCT calculated it would save £60,000 if it rolled PFC Brakes pads out across the fleet. 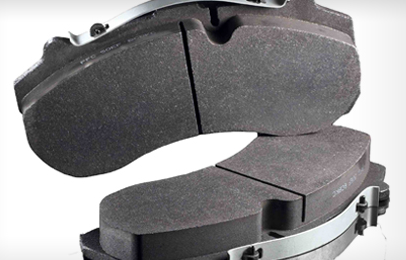 All PFC Brakes pads rely on a Carbon Metallic compound, with specific constructions for each application. Derived from the harsh motorsport environment, where the firm has won more championships than any other brake manufacturer, the carbon material in a metallic matrix improves thermal stability, stopping power and noise. In line with all PFC Brakes products, the pads exceed current and planned US legislation for copper content which is very likely to be introduced in Europe in the future. Following the success to date, NCT is now also using PFC Brakes components on its Solo and Versa vehicles. Please click here to contact our CV team, and discuss your requirements in more detail.